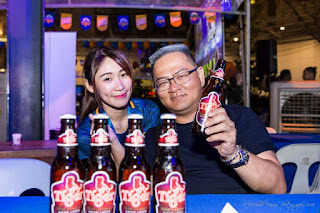 KUALA LUMPUR, 15th July 2018 — Excitement was at its peak as Tiger Beer, Malaysia’s No. 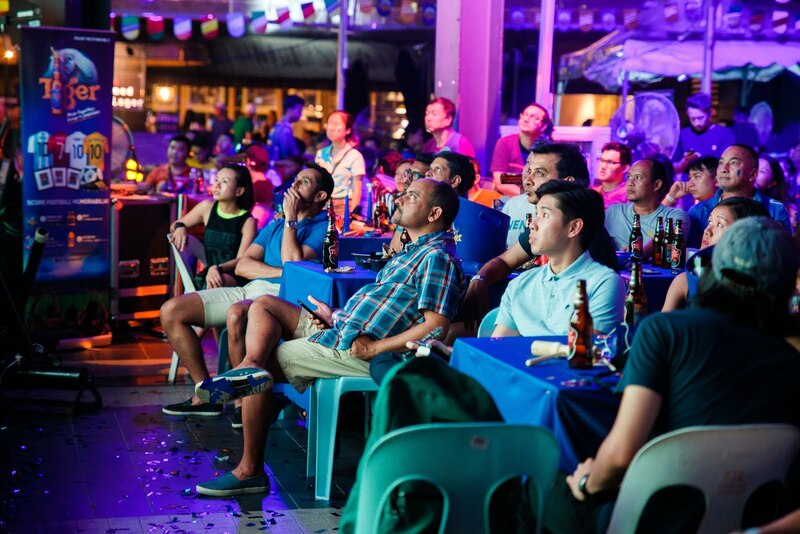 1 beer, gathered hundreds of footie fans together to watch the biggest game of the year. 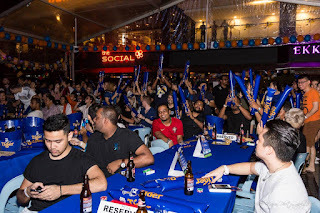 As the final whistle blew, the atmosphere at The Square, Publika, was one of raw excitement as fans uncaged their passion for football and cheered for the winning team at the Tiger Beer’s final viewing party. Footie fever was at an all-time high as the crowd ROARed for their favorite teams on gigantic LED screens over ice-cold beers. 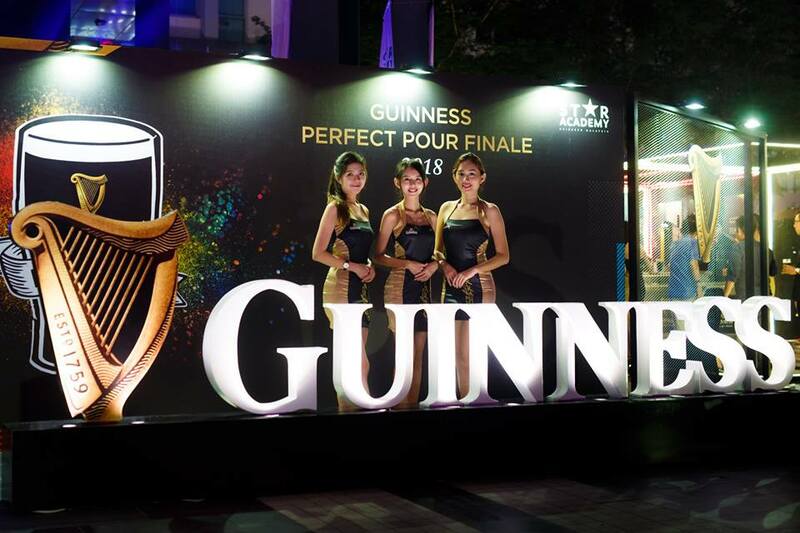 A host of fun activities and amazing promotions were available to guests as they waited for the ultimate match to begin at the viewing party. 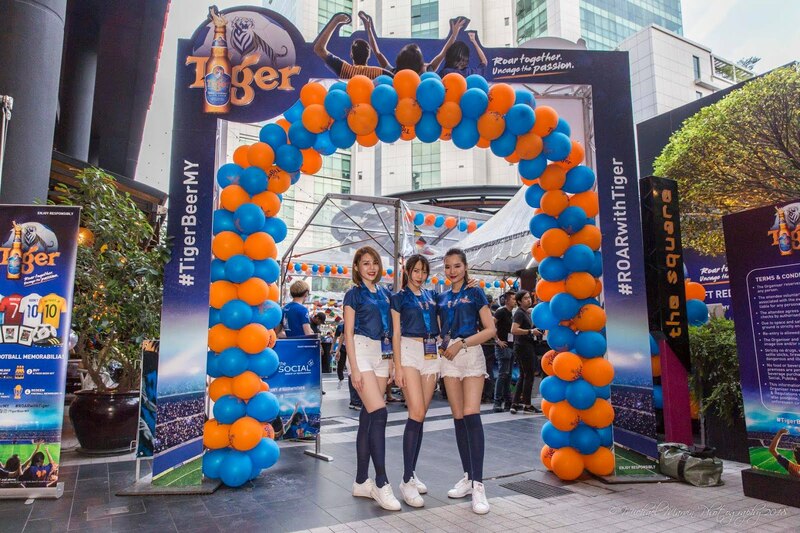 The exclusive ‘Tiger Beer ROAR Machine’ was a crowd favorite - fans got to ‘ROAR’ with all their might and show off their footie skills. Then, upon successfully scoring a goal, they received a bottle of Tiger Beer, on the house. Other highlights included the Flip & Win challenge, where fans got to use their love for football to win exclusive Tiger merchandise. A series of questions about the tournament was asked and if answered correctly, a card was flipped to see what gifts fans were to walk away with. For the more adventurous footie fans, the Dribbling and Supershot challenges at the game stations judged participants based on the power of their kicks and close ball control. Winning fans managed to score signed photos from football stars, Tiger Beer jerseys, as well as exclusive Tiger Beer Mini Fridges. As for fans who downloaded the TigerMY app, they got to use their points to score exclusive football merchandise such as jerseys, photo frames, football boots and balls, ALL autographed by legendary football stars to commemorate the tournament. The atmosphere at The Square, Publika during Tiger Beer's final football viewing party - Pic courtesy of Heineken Malaysia. 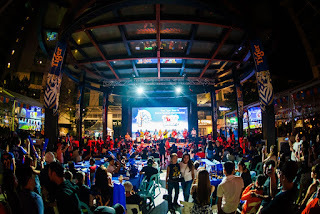 Fans at Tiger Beer's final football viewing party at The Square, Publika - Pic courtesy of Heineken Malaysia. Guests at the kickoff event were of course, dressed to impress and Tiger Beer awarded one lucky fan the title of best dressed. With excitement at an all-time high, guests got to show their team spirit with face paint that was available at the activity booths at the final event. 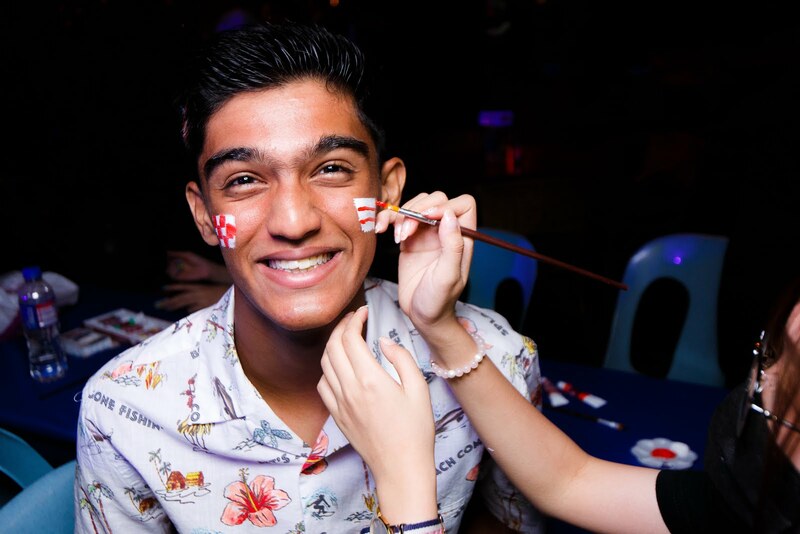 Fan getting his face painted during Tiger Beer's final football viewing party at The Square, Publika - Pic courtesy of Heineken Malaysia. “It’s been a great tournament for football fans - full of surprises, passion and drama. 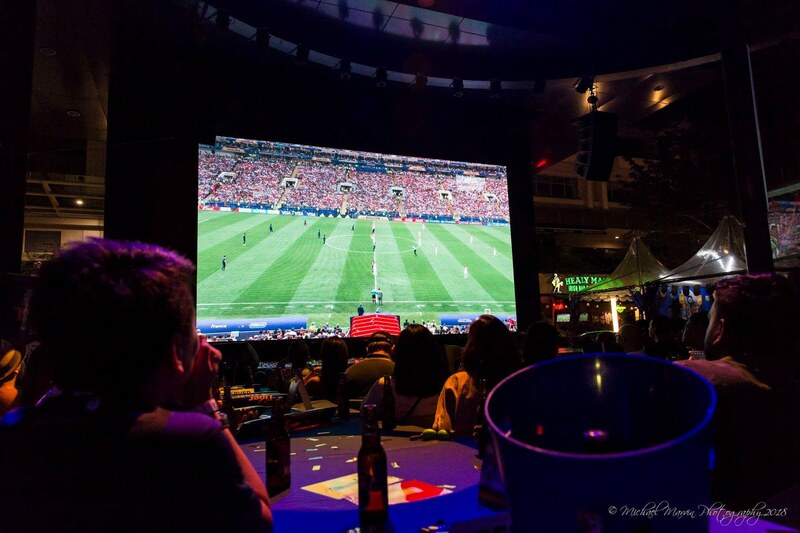 No matter which team you ROARed for, Tiger Beer’s great football viewing parties have kept the excitement at fever pitch all month long.” said Pearly Lim, Marketing Manager of Tiger Beer Malaysia. 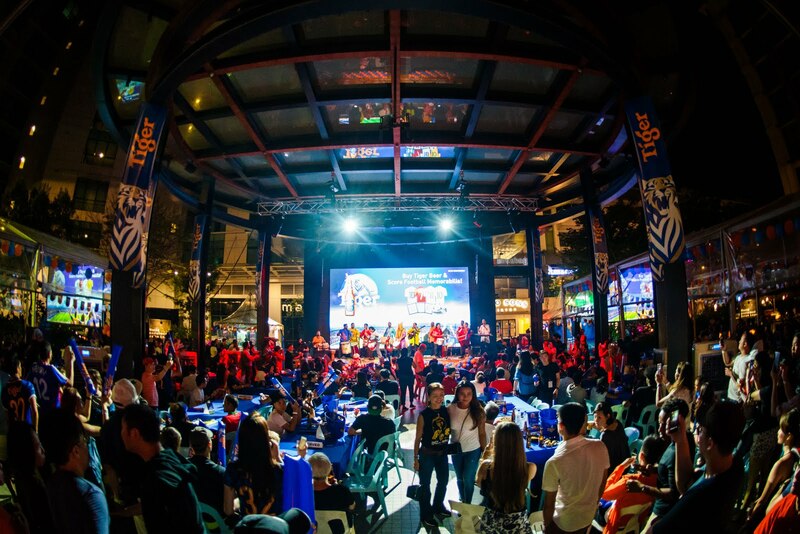 Tiger Beer brought together thousands of people through their love for football across the nation at its viewing parties hosted at pubs, bars, and coffeeshops. Football buffs got to ROAR for their favorite teams all-month-long and uncage their passion for football at the final viewing event at Publika. To learn more about Tiger Beer and to catch the highlights of the month-long football season, log on to www.facebook.com/tigerbeermy. Everydayfoodilove.co/ angeline-ong-yoga.blogspot.com. Thank you for reading our posts. Our team media coverage touches mostly on lifestyle events and focuses on happening scenes in Kuala Lumpur and Kota Kinabalu. Invite us for food reviews, travel and hotel reviews, KL clubbing reviews and product launches. Our other interests include the movies, technology and photography. Subscribe to my facebook page. Contact us via my email at: angel_line78@hotmail.com or monicaong@hotmail.com.